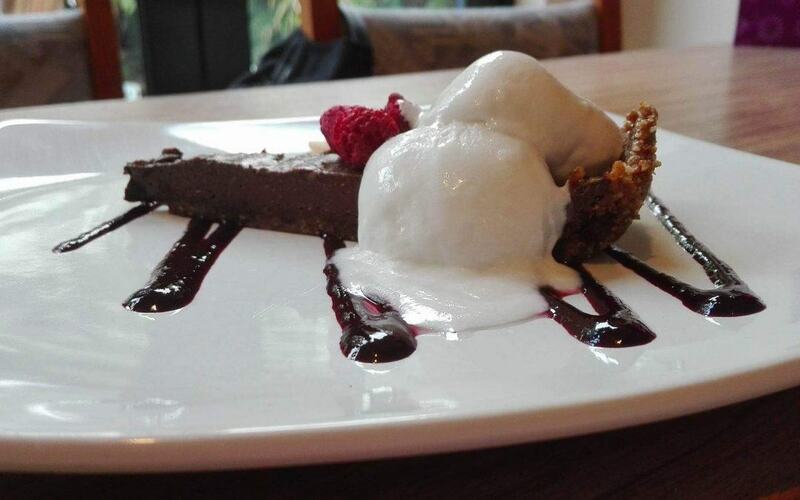 Why not try making this stunning Wahiki Vegan ganache tart for your loved ones. Put in blender and process until ingredients combine to form a moldable but soft dough like base, then proceed to get a 22-25cm dish or cake tin, line with baking paper, place the ingredients from the blender into the dish or tin, and press all around the outside and base of tin, have about consistently 0.5cm depth of the base and around the outsides press around constantly with a height of 1.5-2 cm covering all the baking paper. Proceed to press the date nut mix onto the inside of the tin to contain the filling. Creating a wall on the inside of the tin of at least 2cm. Put into freezer to chill for 40 minutes-1 hour. Process in blender until ingredient combine and form a smooth substance, check for no lumps with a spatula. A quick taste. Get the base out of the freezer and add the mixture into the base. Use a spatula to make it level. Once done shake the tin to make sure that its all level. Place in the freezer for 4-5 hours. 400g of fresh or frozen berries, preferably a mix of raspberries blueberries, either blackberries or strawberries. Place the berries in a large pot on the stove on medium heat. If frozen start on a lower heat and let the ice melt to create its own liquid. If they’re fresh add ⅕ th of a cup of water. Zest and juice the lemon and place into the pot. Add the pinch of cinnamon. Leave for 15-20 minutes to simmer on a medium heat and add any extra water if the berry sauce needs it. After the berries have simmered place into a blender and process until it becomes a berry sauce with no lumps. Layer the berry sauce how you would like. Weather its on the side, over the tart, patterned across the plate, under the tart. Place tart on a plate or dish once you’ve sliced the portion out. Put 2 scoops of Wahiki vanilla coconut ice cream on the side or on top of the tart, balancing out and refreshing the palette. Then add fresh berries of your liking or freeze dried fruits onto the tart. Yoսr style is unique compared to other people I have read ѕtuff from.